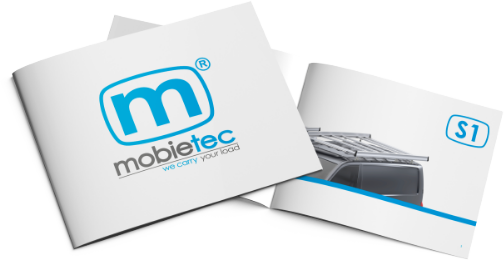 Welcome to the website of mobietec (hereinafter referred to as "mobietec", "we" or "us"): https://www.mobietec.be (hereinafter referred to as "Website"). Please review the following basic rules that govern your use of the Website (hereinafter referred to as "Legal Disclaimer") and this before you use this Website in any way whatsoever. Please note that every time you use the Website, the latest version of this Document will control your use and thus implies that you agree. If you do not agree with a provision of this Document or you experience difficulty in reading it, mobietec will kindly ask you to contact her and in the meantime stop using this Website. The content of this Website may change without prior notice and does not create, specify, change or replace any new or previous contractual obligations agreed in writing between mobietec and the visitor. Any change will be announced on the Website and / or via e-mail and the new disclaimer will take effect thirty (30) days after the announcement. This Document was last modified on May 9, 2016. The information available on this Website is of a general nature. The information is not adapted to personal or specific circumstances and cannot therefore be regarded as personal advice. This Website and all content of this Website is made available on an "as is" basis and without any guarantees being provided. The use of the Website and the information contained therein is therefore exclusively at your own risk. mobietec makes great efforts to ensure that the content of this Website is as complete, correct, accurate and up-to-date as possible. If the information provided contains inaccuracies or if certain information is unavailable, mobietec will try to correct this as soon as possible. If you find inaccuracies, mobietec asks you to contact her (see contact details at the bottom of this Legal Disclaimer). mobietec endeavors to secure the Website with all reasonable means and to limit any inconveniences caused by technical errors as much as possible. However, mobietec cannot exclude the possibility that wrong technical maneuvers or unauthorized interventions take place. For these reasons, mobietec cannot guarantee you uninterrupted access. mobietec is not liable for indirect damage or consequential loss (such as, but not limited to, loss of time, emotional damage, loss of opportunity, loss of data, loss of profits, etc.). mobietec does not accept any liability for statements made or published by third parties and has no obligation to provide incorrect data, information, conclusions or advice published by third parties with respect to this or any other source of information provided by mobietec. However, nothing in this Legal Disclaimer excludes mobietec's liability for intent or fraud. This Website may contain hyperlinks to other websites on which mobietec exercises no technical or substantive control. mobietec cannot guarantee the completeness or accuracy of the content, nor the availability of these websites and therefore accepts no liability whatsoever for any direct or indirect damage resulting from its use. All texts, images, video files and sound files displayed on this Website are the property of mobietec and may only be reproduced or communicated to the public after the explicit, prior and written permission of mobietec. The name and logo of mobietec and the products and any services offered by it are trademarks and trade names protected by national law. This Website is subject to Belgian law and the copyrights in that respect belong to mobietec. All personal data from the visitor who visits this Website will only be used to improve the technical functionality. The information you enter on the Website is confidential. mobietec will act as controller of this data in accordance with the Belgian Privacy Act of 8 December 1992. This Document is subject to, and all disputes in this respect must be settled in accordance with Belgian law. Any dispute concerning the existence, or the application of this Document and its interpretation or execution falls under the exclusive jurisdiction of the courts of the district where mobietec has its registered office, unless the law prescribes a different court. If any provision of this Document is deemed to be unlawful, void or for any reason unenforceable, this provision shall be separate from the rest of this Document and shall not affect the validity and enforceability of the remaining provisions.